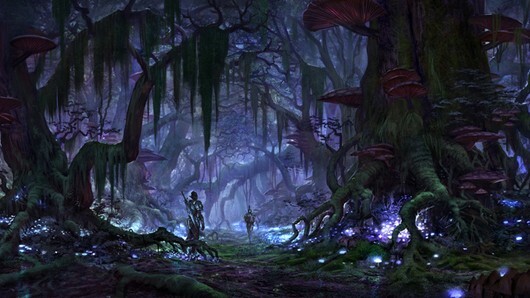 If ZeniMax seems a bit defensive about The Elder Scrolls Online, you can hardly blame the company. Since its announcement this spring, the upcoming MMO has been met with a steady chorus of fan disapproval due to perceived similarities with other themepark fantasy MMOs. In a new interview with Kotaku, ZeniMax head honchos Matt Firor and Paul Sage attempt to accentuate the positive and differentiate TESO from its genre competitors. “When people sit down and play it, they’ll realize it’s different. Like our whole real-time combat system of blocking and dodging is all pretty much new,” Firor explains. Firor also comes out swinging vis-à-vis the notion that TESO is nothing more than a World of Warcraft analog. “Making an MMO is making an MMO. I worked in the industry before World of Warcraft, so I can tell you that World of Warcraft had a lot of influences from a lot of games. Our priority is to make a great game and not to make a clone of anything,” he says.